Paramount, CA – The College Board has recognized two Paramount High School Class of 2018 graduates as National Advanced Placement (AP) Scholars, capping a successful year for the District’s Advanced Placement program as it continues to increase student participation in AP classes and pass rates for AP exams. 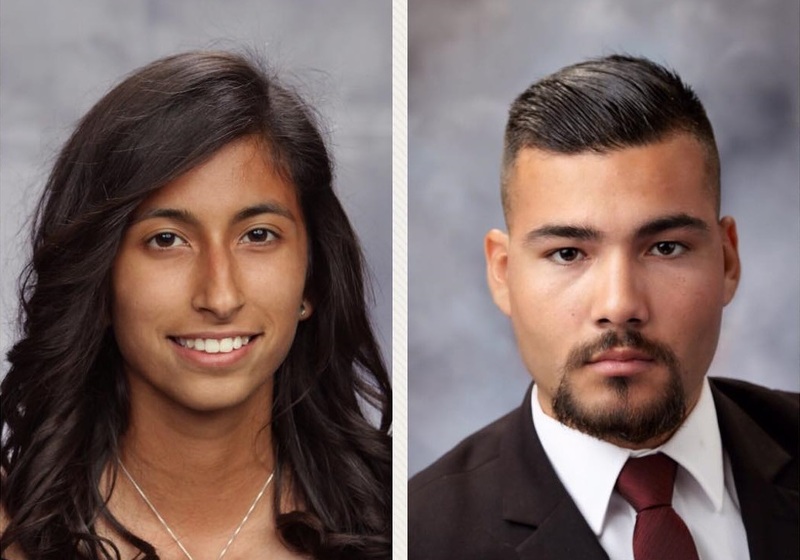 Fernanda Corona and Raymond Rosales were named National AP scholars for averaging 4.0 or higher on all of their AP tests and 4 or higher on eight exams. Corona was Paramount High’s valedictorian and is now attending Duke University. 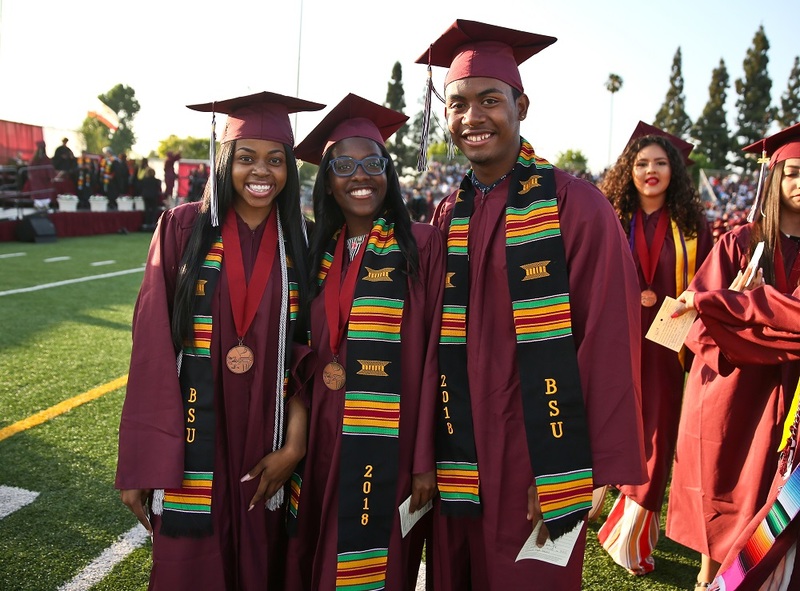 In December, Paramount Unified was named an AP Honor Roll district for its commitment to increasing access to AP for underrepresented students while simultaneously maintaining or increasing the percentage of students earning AP exam scores of 3 or higher. Paramount Unified increased its participation in AP coursework from 627 students in 2014 to more than 1,000 students in 2018, a jump of more than 60 percent. The pass rate for Paramount Unified students has grown from 31 percent in 2014 to 41 percent in 2018. AP Spanish Language and Culture: – Increased enrollment from 66 students in 2014 to 150 students in 2018 with 98 percent passing rate.AP English Language and Composition: – Increased passing rate from 11 percent in 2014 to 22 percent in 2018. AP English Literature and Composition: – Increased passing rate from 21 percent in 2014 to 30 percent in 2018. AP Human Geography: – Created new course for freshmen at Paramount West. Pass rate increased from 36 percent in 2017 to 53 percent in 2018, nearly matching the national pass rate. AP Calculus: – Students passing the course grew from 38 in 2014 to 55 in 2018. AP student awards: – Students recognized as AP Scholars, AP Scholars with Honors, AP Scholars with Distinction, and National AP Scholars. In 2014, 42 students received one of these honors. In 2018, this figure climbed to 73. AP National Scholar: – Two Paramount High students received National AP Scholar recognition, given to students who receive an average score of 4 on all AP exams taken, and scores of 4 or higher. 072318_PARAMOUNT_APSCHOLAR1: Paramount class of 2018 graduates Fernanda Corona, left, and Raymond Rosales, right, were named National AP scholars for averaging 4.0 or higher on all of their AP tests and 4 or higher on eight exams. 072318_PARAMOUNT_APSCHOLAR2: In December, Paramount Unified was named an AP Honor Roll district for its commitment to increasing access to AP for underrepresented students while simultaneously maintaining or increasing the percentage of students earning AP exam scores of 3 or higher. Paramount class of 2018 graduates Fernanda Corona, left, and Raymond Rosales, right, were named National AP scholars for averaging 4.0 or higher on all of their AP tests and 4 or higher on eight exams.